Preheat your oven to 190 degrees (Celsius) and line a muffin tin with muffin cases. In a jug, pour the milk, egg and salt and whisk until blended. 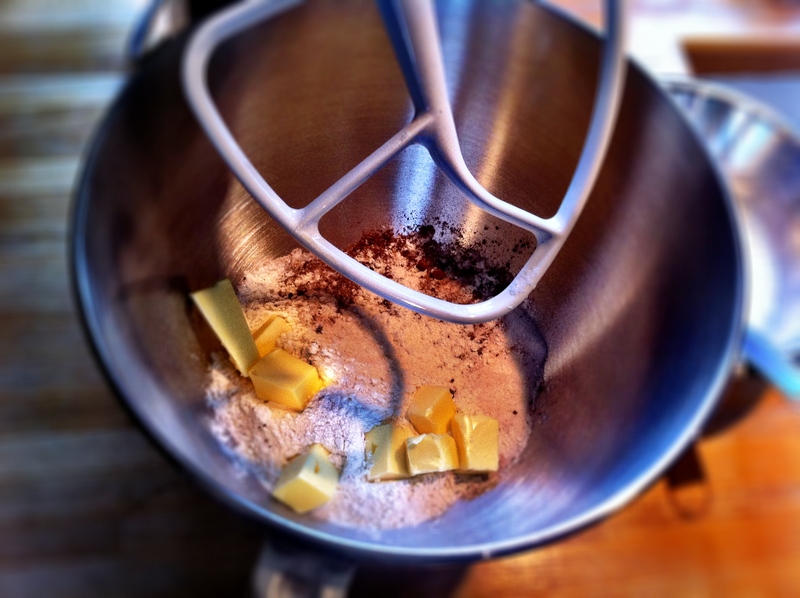 Using a hand mixer or a stand mixer (use the paddle), mix all the other ingredients until they resemble fine breadcrumbs. 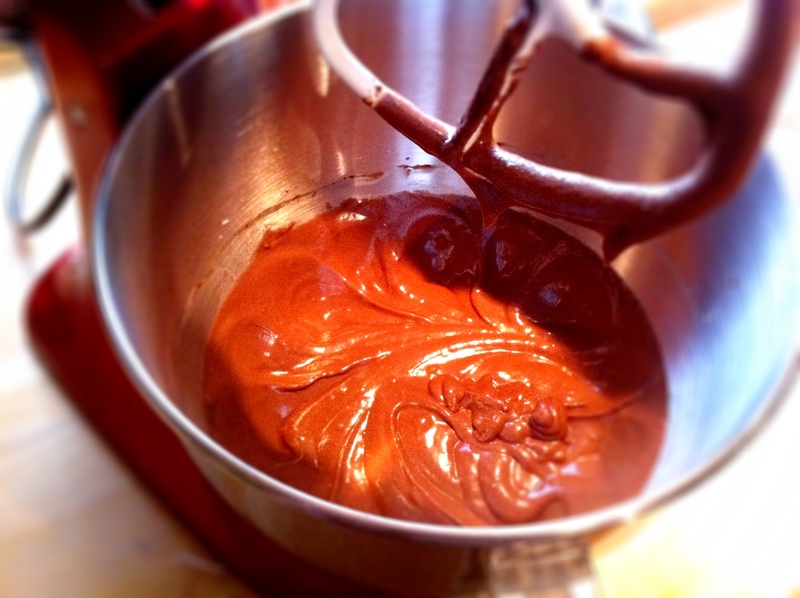 Pour in ¾ of your egg/milk mixture and keep mixing until the mixture becomes smooth. Pour in the remaining liquid and mix until you get a smooth, glossy batter. Pour the batter up to two-thirds full in each of the muffin cases and bake for 18-20 minutes or until a skewer comes out clean. Allow them to cool fully before frosting and decorating. 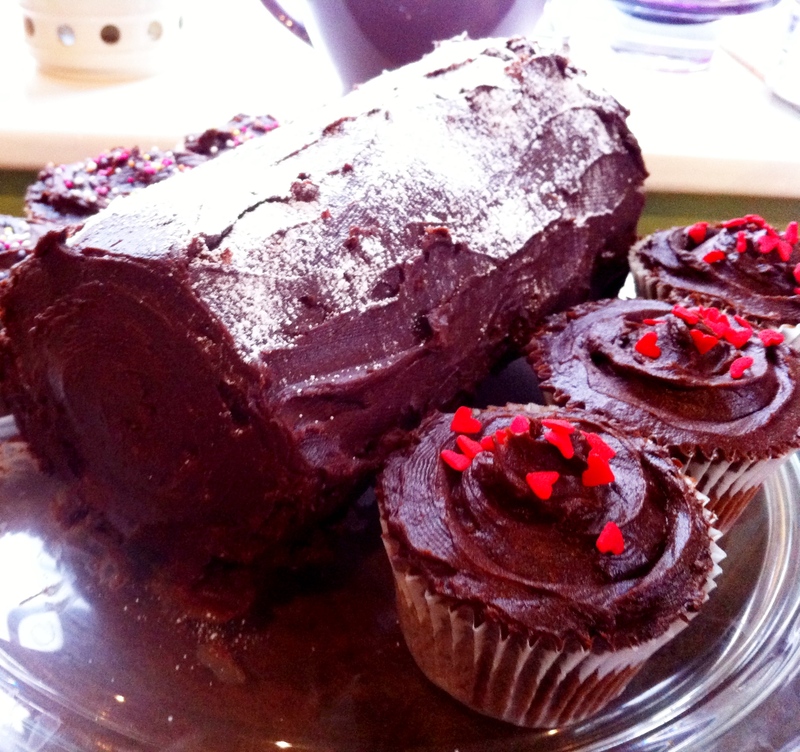 The recipe for the chocolate frosting can be found here. Preheat the oven to 220 degrees (Celsius). Grease and line a 13×9 in (33×23 cm) swiss roll tin with greased greaseproof paper. Whisk the eggs and sugar in a large bowl or stand mixer until the mixture is light and frothy and the whisk leaves a trail when lifted out. 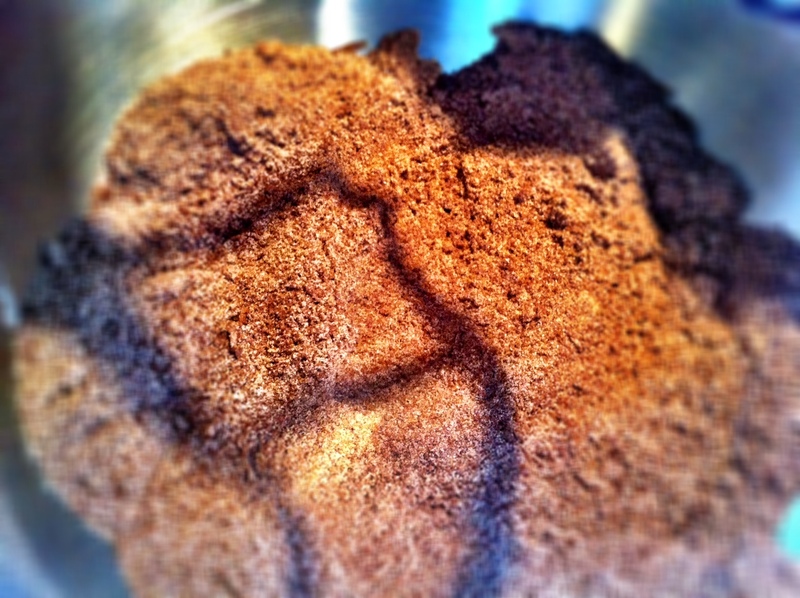 Sift the flour and cocoa into the mixture, carefully folding at the same time. Turn the mixture into the prepared tin and give it a gentle shake so that the mixture finds its own level, making sure it spreads evenly into the corners. Bake in the oven for about 10 minutes or until the sponge begins to shrink from the edges of the tin. 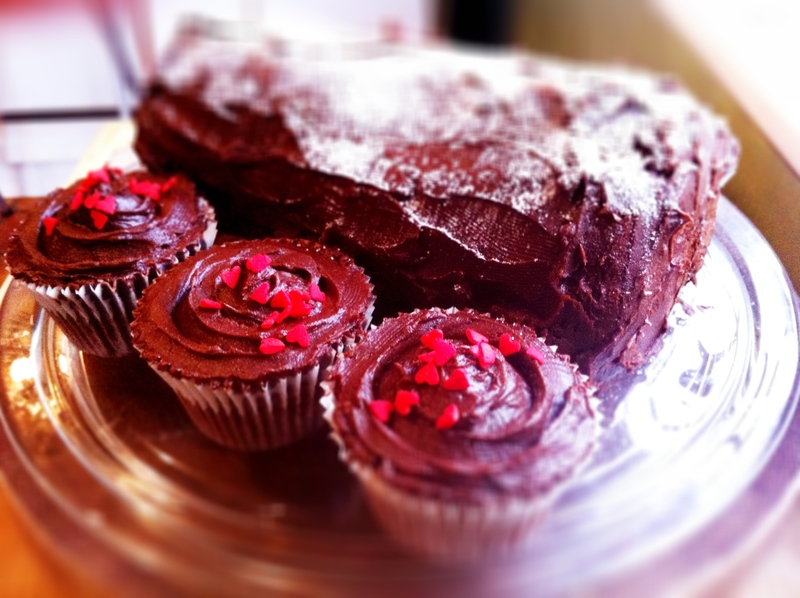 While the cake is cooking, place a piece of non-stick baking paper a little bigger than the size of the tin onto a work surface and sprinkle it with castor sugar. Invert the cake onto the sugared paper. Quickly loosen the paper on the bottom of the cake and peel it off. Trim the edge of the sponge with a sharp knife and make a score mark 1 inch in from the shorter edge, being careful not to cut right through. Roll up the cake firmly from the cut end, with the paper inside, and leave to cool. When cool, unroll carefully and add your filling of choice.